It’s easy to be sedentary, as daily we can often sit for hours on end from commuting, working to relaxing at home on the sofa. If we think of our average day, we sit whilst driving, whilst on the train, tube or bus, we sit at work around 8 hours a day, and after another commute, at night, at home, we sit in front of the TV for on average 3 hours, and then go to sleep for 7 to 8 hours. Now, that really doesn’t leave a lot of time left in which the average office worker is active. This means whilst we are very busy and tired we just aren’t as active as we could be. It’s known that sedentary living habits take a heavy and prolonged toll on our bodies, from increased blood pressure, lower back pain to an increased risk of heart diseases and diabetes. They are all well documented, but little is said about the negative effect on people’s mental states. Concentration often wanes as we mentally exhaust ourselves in our day by day jobs, but as we sit, we become more tired and lose focus. Daydreaming, forgetting meetings and tasks becomes common as we are mentally fatigued. Sitting all day has negative impacts on your mind, and can affect your performance at work. You can combat this by simply adjusting your position whilst working throughout the work day and this can vastly improve your state of mind. 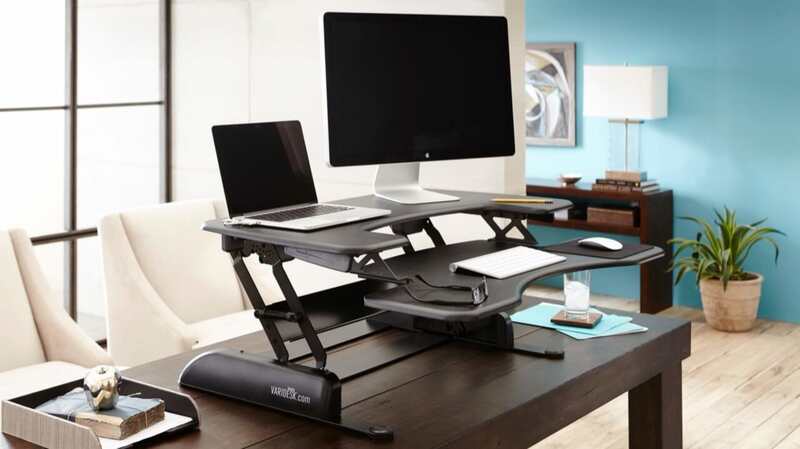 Using a standing desk can help you fight out of the mental block you found yourself in. This can help you get back your focus and improve your productivity. Standing, taking frequent breaks and regular walks will help break up your day and help you concentrate. ​ When you stand your blood circulation increases which feeds more oxygen to your brain and this oxygen increases your energy levels, alertness and productivity. 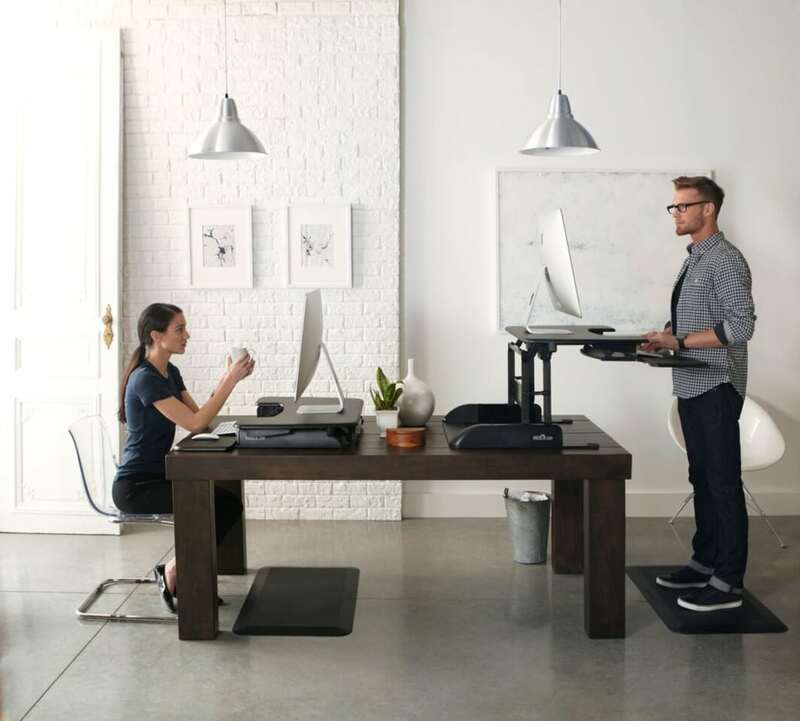 No need for coffee on tap when all you need to do is stand or take a walk to switch back on, increase your focus and productivity. It is simple, easy and will help your mind by become more active. A little exercise like standing or walking will help, a study found that taking a little exercise will increase mental performance as physical activity will improve the ability to meet deadlines and increase work performance by as much as 15%. Whilst researchers from Harvard researchers found that post exercise blood flow creates the good conditions for performing tasks that require focused thinking. Standing is great for giving you a boost, it also helps by getting through tedious meetings as work performance is shown to be lower in people who sit in meetings compared to those who stand as standing meetings don’t last as long when everyone is stood up. 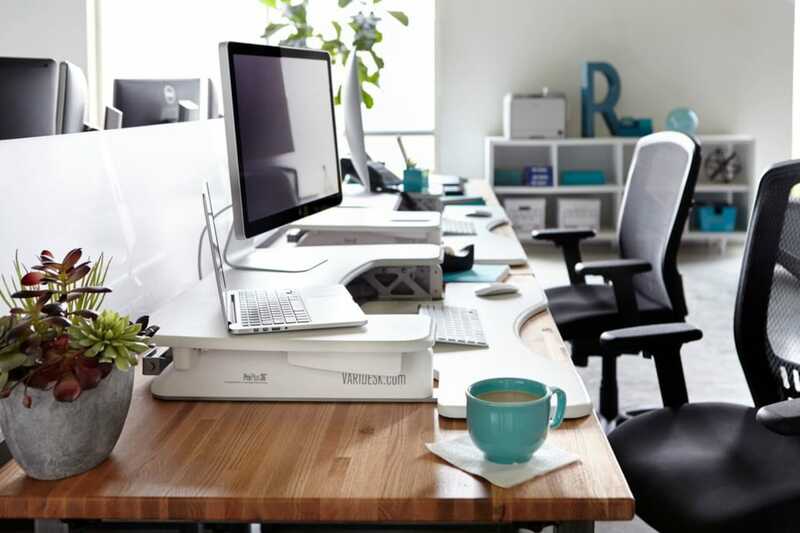 Using a standing desk will help you concentrate and increase your productivity at work, spending less time feeling tired and more time becoming active will also give you clear health benefits and people who use a standing desk can burn up to an additional 50 calories per hour.